The house rabbit is a shy creature that hides under beds, fridges and couches in its home, and only comes out for its owners and for meals. This may be due to it's miniature size, being a centimeter shorter in length as an 'iced lollie' stick. They are especially afraid of chihauhas, as they are bigger and can fit into many of the places that they hide. Although inherantly shy, house rabbits make lasting bonds with their owners and enjoy sitting on a lap and being gently stroked of an evening. They especially like dwarf carrots. Yes, this is very silly. Anything that small I would call rat. Given that we used to keep a Netherlands Dwarf rabbit as a house pet, I'm not entirely sure this is a novel idea. But if you really want a pocket pet, what's wrong with gerbils? 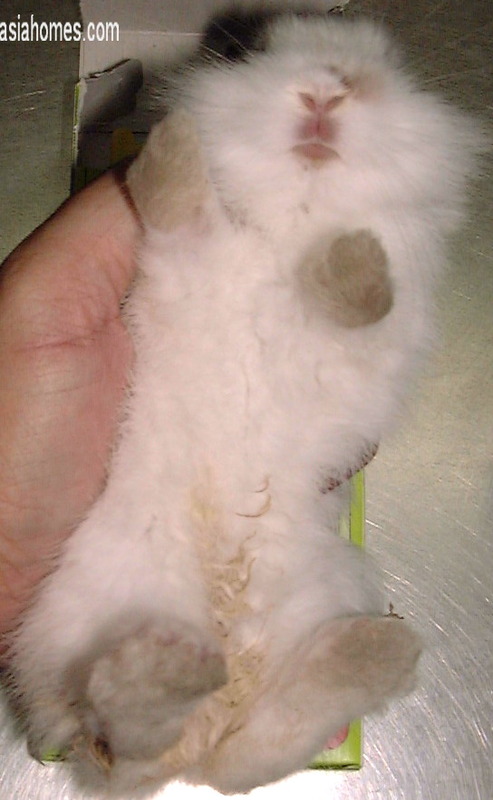 Btw, rabbits don't make the best pets, as they generally don't especially like held. Why is that image called "1093dwarfrabbit 30days smelly diarrhoea Singapore.jpg"? Nothing cute about that, I can tell you. Ah. I see. Thanks [jutta].